Mark Harris has been trading as MSH Paving for over 15 years with over 24 years experience in the Civil Engineering business specialising in block paving and landscape contracting in and around King's Lynn in Norfolk. MSH Paving supply and install all types and forms of block paving as well as undertaking all the necessary support work including drainage, footings, concrete, water supply, fencing and all other associated landscaping works. 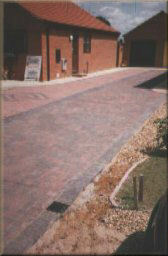 MSH Paving are fully experienced and equipped with their own plant and supply resources. The company also has the capability for trenchless installation of pipes, ducts and services.